A few pictures of Milan, and other things. I meant to put some pictures up before Christmas, but it just didn’t work out. However, now I can. 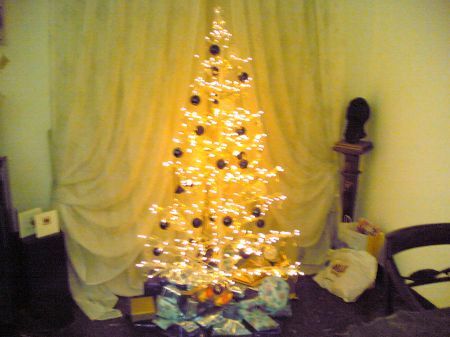 The first is not a good picture, and it is of last year, but here is V’s tree from Christmas. It was almost the same this year. These are the ‘gates’ at Porta Venezia, very close to where we live. During this year they have been restored and one of them has been turned into a gallery and is called Casa di Pane (Bread House). 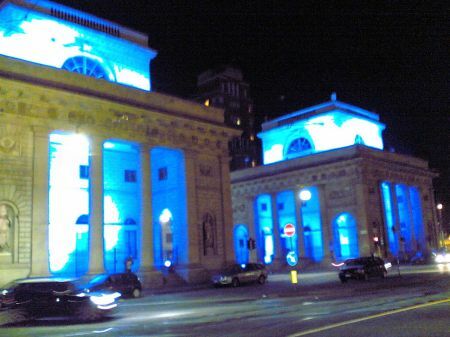 For December they decided to light up the buildings and, sometimes, the colours changed. Here are two pictures. 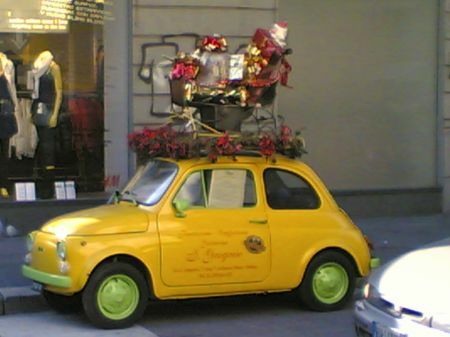 This is a picture of a car parked up a side street off Corso Buenos Aires. It has a sleigh and presents on top. 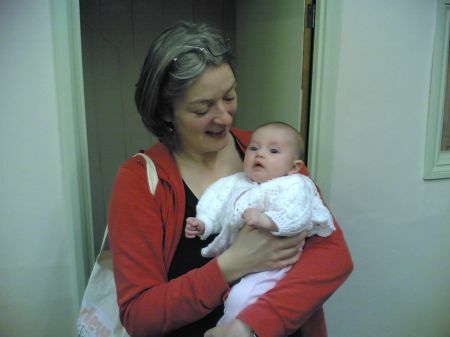 >This is one of M and her beautiful baby, who was a delight to look after at the Winter Weekend, this year. It makes you go all maternal, doesn’t it? And, finally, one of my best mate. No doubt she will complain bitterly and try to get me to take this off, but I think it’s worth having on. She’s a great person and is a true friend and I love her to bits. 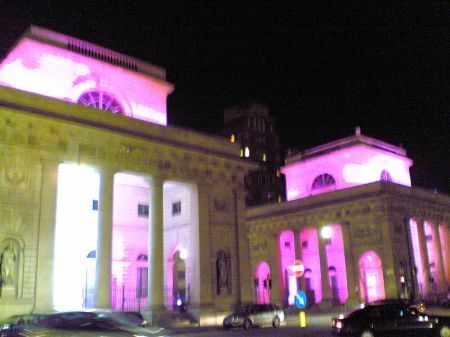 However, I’ve had to remove it now, which is a shame because it was a really, really nice picture. Very Mona Lisa like, with a very enigmatic smile. Ah well, I still love her to bits. This entry was posted in Friends and Inimies, Italy, Strange things and tagged Friends and Inimies, Italy, Milan, Strange things by Andy. Bookmark the permalink.